An empathetic chat bot that talks you through your bad days. We really looked forward to working with IBM's Watson and thought a chat bot would be a cool project. 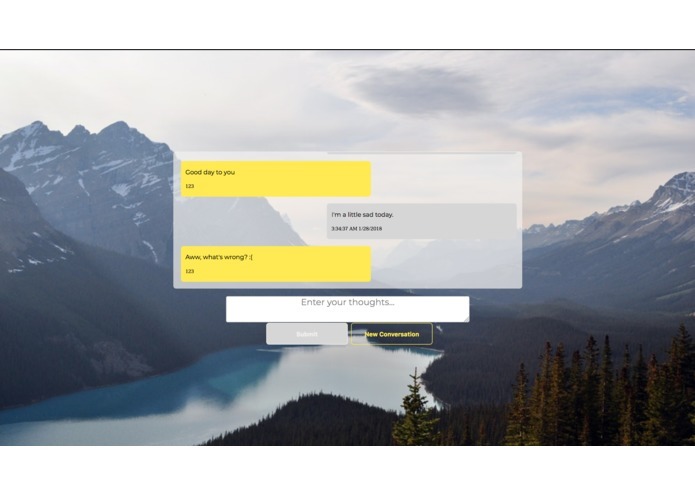 Since we had previous Firebase knowledge, we thought it would be simple to put together so we decided to put a spin on it by having a mental health focus. Wat The Bot talks you through your bad days and is an outlet for you to vent if need be. The stack we used includes React, Firebase, Express and IBM's Watson. IBM's Watson was hard to get integrated into our project due to the use of callbacks and not promises. Next, we plan to integrate our Tone Analysis sub-component into the bots responses. I used Google Firebase to create an API layer for our application to communicate with IBM Watson's Conversations service. I worked on the backend. I used Google Firebase with NodeJS to create a tone analysis module with IBM Watson for our chat bot.